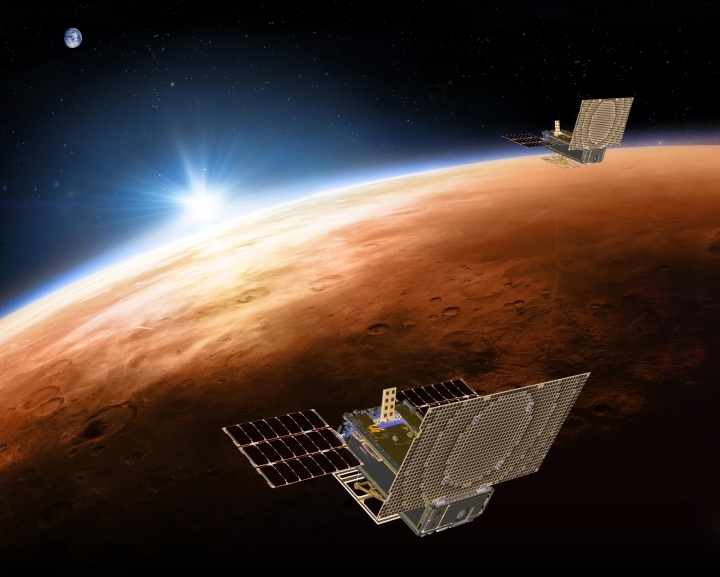 CAPE CANAVERAL, Fla. — Two tiny satellites have fallen silent hundreds of millions of miles away, after proving new technology at Mars. This week, NASA said it hasn't heard from them for more than a month now — and doubts it ever will. WALL-E, which had been leaking fuel since liftoff last May, last radioed back on Dec. 29. It's now more than 1 million miles (1.6 million kilometers) beyond Mars. EVE went mum on Jan. 4; it's nearly 2 million miles (3.2 million kilometers) past the red planet. These were the first CubeSats to venture into deep space, part of an $18.5 million experiment to see whether such compact, cheap devices might serve as radio relays at faraway worlds. "There's big potential in these small packages," program manager John Baker of NASA's Jet Propulsion Laboratory said in a statement. "We've put a stake in the ground," he said. "Future CubeSats might go even farther."